A young team owner and Uncle Drew (NBA All-Star Kyrie Irving) round up Drew's old basketball squad to prove that a group of septuagenarians can still win the big one. As the Rucker Classic basketball tournament fast approaches, Harlem coach Dax (Lil Rel Howery) has his entire team poached by longtime rival Mookie (Nick Kroll). Now, Dax must recruit aged streetball luminary Uncle Drew (NBA star Kyrie Irving in "old man" makeup) and the rest of his former teammates to play in the classic and beat Mookie once and for all. 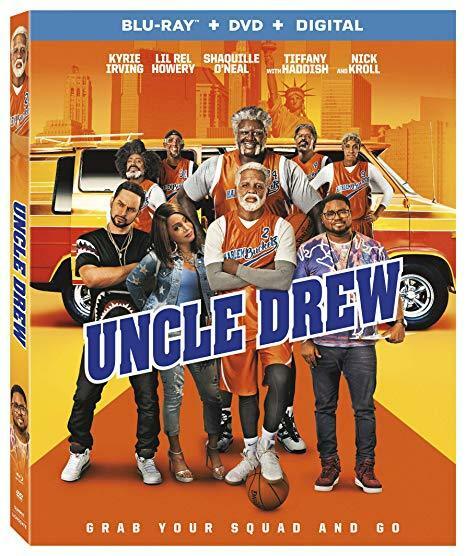 Shaquille O'Neal, Chris Webber, Reggie Miller, Tiffany Haddish co-star in this hilarious sports comedy. 103 min. Widescreen; Soundtrack: English.